If a masked intruder broke into your home, would your cat attack or run away? 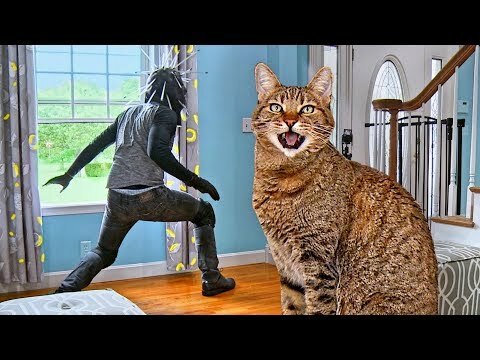 Cory put his cat Sparta to the test to find out whether he would confront the burglar or wimp out. 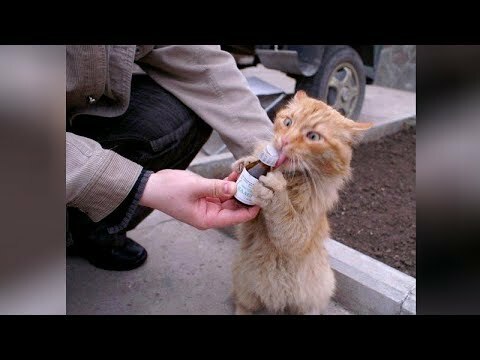 This footage showed the cat inside watching instead of attacking. The fake thief (Cory), who broke into the home, made off with a TV. How would your pets react when burglars break in? Sparta – from viral hit “The Mean Kitty Song” which now has over 80 million views to date. He’s a Bengal mix, born sometime in mid-2007; I celebrate his b-day on May 20th. He rescued me in July of 2007. Sparta love stalking, wrestling, crunchy toys, playing fetch and being held like a baby. Loki – the long white kitty that looks like a cow but I believe he may be part monkey. Loki is about the same age as Sparta, so we celebrate their birthdays together. He found me at a rescue center in July of 2008. He loves toys, making noise, hanging upside down, poking things and more than anything, he loves the love! 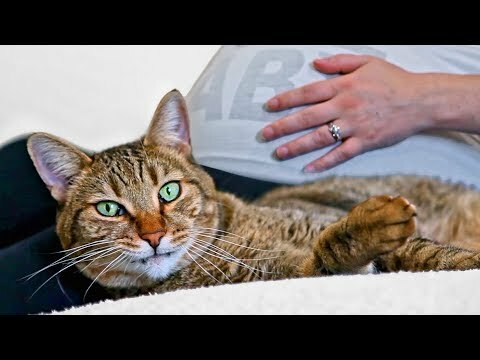 CAT REACTS TO PREGNANCY – Do Cats Reveal Baby Gender? Are you ready for ULTRA LAUGHING? 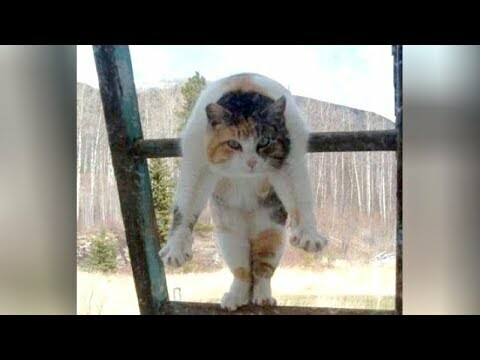 – CATS & DOGS doing HILARIOUS EXERCISES! 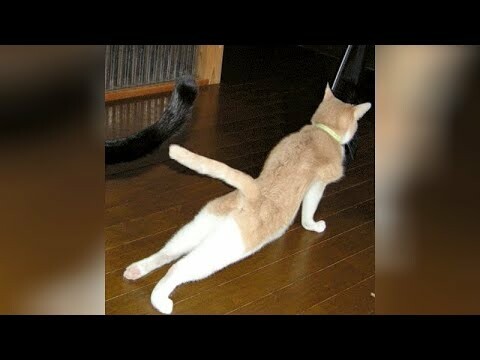 Cats and dogs are so funny, now watch them doing weird and hilarious exercises! So funny, ridiculous and cute! The hardest try not to laugh challenge! What is your favorite clip? 🙂 Hope you like our compilation, please share it and SUBSCRIBE! Watch also our other videos!